KINGSCLIFF, NSW/AUST (Sunday, March 29, 2015) - Surfers did battle in small waves with two-time Longboard World Champion Taylor Jensen and Karina Rozunko taking top honours in the Australian Longboard Surfing Open World Surf League (WSL) Longboard Qualifying Series (LQS) divisions at Kingscliff, NSW. The men’s final started off slowly as two-time reigning World Champion, Harley Ingleby (Emerald Coast, Australia) and reigning event champion both suffered a slow start. Ingleby took the first wave after almost ten minutes of competition and scored a 5.5. Jensen nudged forward with a score of 5.63 after the first wave exchange. Jensen then caught a great looking wave and netted a 7.67 for his powerful and precise surfing. Further adding to the pressure, Jensen made the most of the tough conditions and secured his third wave under priority and increased his overall score with a 5.77. Needing a 7.95 to win, Ingleby caught his final wave with only 10 seconds remaining but could only score a 5, leaving Jensen to win his 2nd final of the day. Jensen had earlier won the Villa World Logger/Old Mal division, once again, beating Ingleby. The rivalry continued in the Noserider final, with Jensen once again triumphant. In the women’s Final two WSL Longboard Championship competitors went head to head, but it was Karina Rozunko (USA) who was dominant against Victoria Vergara (France). Rozunko got an early start over Vergara and secured an early score of 5.5, followed by a 6.33. Vergara was constantly chasing and only managed to get small scores early in the Final. Rozunko continued to dominate, but Vergara didn’t give up easily, entertaining the crowd and not afraid to catch the small waves to try and score big. 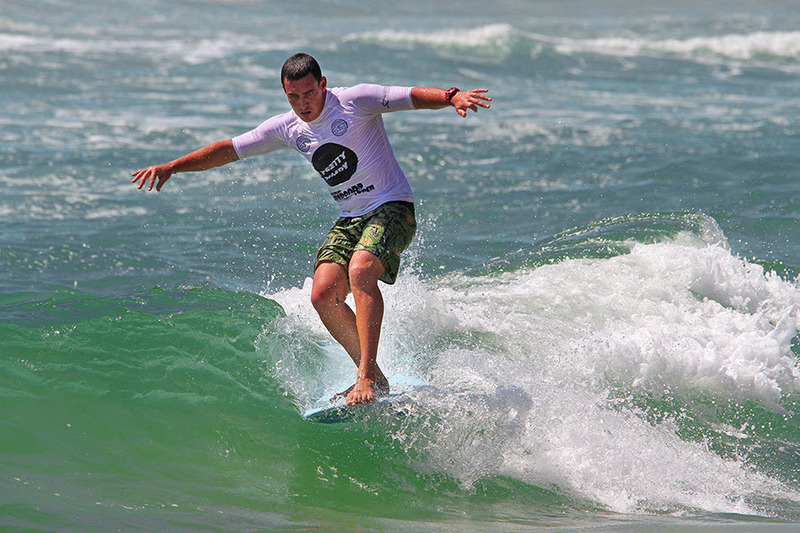 The 2015 Australian Longboard Surfing Open has been hugely successful with great crowds at the beach to watch the surf and attend the lifestyle events as part of the Longboard Surfing Festival of the Asia-Pacific. Events featured have been the Scoot Miss Beach Girl competition, surf films, yoga, art, classic car vehicles and lifestyle stalls. The ALSO competition and Longboard Surfing Festival is a five-day lifestyle event, held in the untouched surfing location of Kingscliff. Kingscliff is located on NSW’s beautiful Tweed Coast and is only 10 minutes south of Gold Coast Airport. Held on 25-29 March 2015, ALSO honours the history and laid-badck attitude of longboard surfing and features Fluro Friday, live music, Miss Beach Girl model competition, surf vehicle display, surf films, yoga, art and lifestyle stalls. For more information contact Sean McKeown, Australian Longboard Surfing Open on 0414 569 208 or Tammy Papalia, Media Manager, 0412 828 368 or email tammy@eventaddict.com.au. 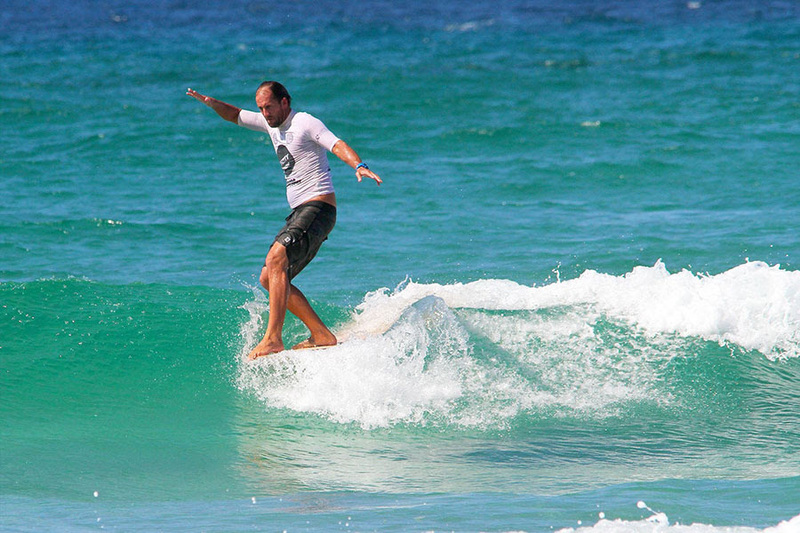 KINGSCLIFF, NSW/AUST (Wednesday, March 25, 2015) -Challenging surf conditions at the Australian Longboard Surfing Open (ALSO) in Round One, saw the top surfers having to apply their skills to get through to Day 2 of the competition which is on until Sunday 28 March, 2015. Conditions were contestable with 1-2 foot waves and a wind effected north east onshore that brought a sea sawing battle between all contestants. In every heat the wave selection was a priority, with the best waves seeing the competitors impressing the judges with their style and manoeuvres. “It’s really tough, there are some pretty strong onshores. The bank seems like it is there and it’s shoulder high waves so it is definitely contestable,” said reigning World Champion Harley Ingleby. By Friday, there will be a change for the better with 1.5 metre swell with offshore winds. Conditions will be ideal for this part of the coast, just in time for some dynamic action in the weekend finals. In the best heat of the day, Sunshine Coast's, Nic Jones was knocked out by Edouard Delpero from France. It was a very tight and competitive heat with both longboarding professionals performing exceptionally well but with a 50% progression division, one of these very talented surfers could not go all the way. Thursday will feature the continuing qualifying series for the Men’s and Women’s Pro Division, qualifying of the prestigious Noserider, Villa World Logger/Old Mal and Kingscliff Beach Bowls Club Retro. The Longboard Surfing Festival of the Asia Pacific will also feature Barefoot Bowls at the Kingscliff Beach Bowls Club with tickets available at the registration tent, for a fun night out on Thursday, 5pm. Fluro Friday will feature on Friday from 6:30am NSW time, promoting ONEWAVE, a non-profit surf community raising awareness for being in a funk, anything from depression, anxiety and bipolar. They let people know they are not alone, encourages them to get into the ocean, surf it out and talk about it. So where your brightest Fluro gear and come on down to the Lions Park, next to the Cudgen Surf Life-Saving Club for a free BBQ breakfast. The Alive & Cooking Show featuring James Reeson will be recording a live cooking segment at the Kingscliff Beach Hotel, the event hub, at 10:30am on Friday. Reeson will be available for interview and will provide plenty of photo opportunities throughout the segment.